Orphan girl Sophie feels dowdy and dunce-like compared to her two best friends at her lacklustre boarding school; the conscientious Marianne with her high academic standards and the ultra-stylish Delphine with her immaculate grooming standards. The only thing that marks Sophie out, apart from the number of holes in her school jumper, is her outlandish yearning to visit Russia, fuelled by strange dreams of her dead father, set in a frozen, silver landscape. But then a mysterious visitor appears at Sophie’s school asking strange questions about her, and before long the three girls have been diverted onto a school trip to St Petersburg where they board an express train out of town to meet their hosts. Snowy peril looms when they are suddenly pitched out of their carriage into the icy Russian wind at a disused station, but they are rescued in the nick of time by Ivan, a servant of the Princess Anna Volkonskaya who wraps them in fur, and whisks them in his vosok to her faded winter palace. Their beautiful but enigmatic host spellbinds the girls with her tales of white wolves, lost diamonds and the tragic Volkonskys. But is the Princess really who she claims to be? And what is that terrifying howling in the forest? Cathryn Constable’s debut novel is orthodox in its inspiration but none the worse for that. From traditional ingredients – inconsequential orphan girl ignorant of her real parentage; a long-lost family treasure; a menacing company of wolves – and a frosty, onion-domed landscape straight out of Doctor Zhivago – she has woven a newly enchanting tale. From the very first page where the snow begins to fall ‘like a heavy lace curtain’, and the cold, clean air is ‘like a mixture of peppermints and diamonds’, Constable’s use of language is as alluring as her Russian yarn, and her heroine Sophie is appealingly plucky, as she faces down both wolves and a general with evil designs to discover her destiny. Girls of 10+ will skate through the tale exhilarated, particularly the kind who have already wolfed down Eva Ibbotson’s The Star of Kazan, Ballet Shoes and The Little Princess. 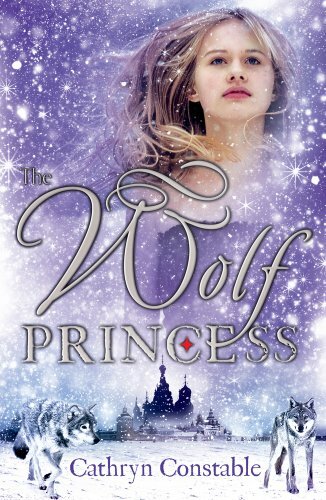 There are few surprises, but The Wolf Princess is as warming and fortifying in the telling as a samovar of jam-laced Russian tea is in the drinking.